'Hedge Two-Way Mirror Walkabout' gets you thinking about the changing skyscape of New York City, about the parallels between parks and museums, and about the quirks of the roof garden, which Mr. Graham calls a “leftover space.” And it reminds you that the city needs more spaces like this one, where leftovers come with multimillion-dollar views but are nonetheless set aside for the public." "Graham has merged that picturesque fantasy with the midtown skyline. His twisty mirror reflects the gleaming necklace of skyscrapers around Central Park, many of them glass boxes in the spirit of Mies. Those ever-taller towers project an air of elegant efficiency while offering excellent camouflage: the reflective façades of high-rise headquarters and plutocrats’ pads provide their occupants with limitless views yet shield them from observation. “Surveillance power is given to the corporate tower,” as Graham notes in the catalogue. At the Met, he has created a miniature office building with a diabolical twist. The architecture of corporate modernism was developed to maximise productivity and embody egalitarian transparency, but Graham’s glass geometries are deliberately labyrinthine and confusing, an exercise in rationality gone nuts." 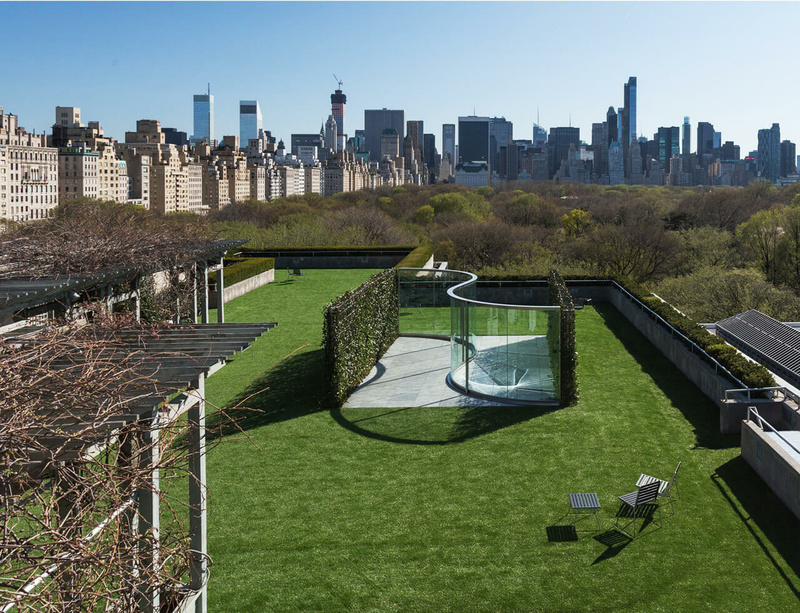 Dan Graham, Hedge Two-Way Mirror Walkabout, Roof Garden Commission at the Metropolitan Museum of Art, until 2 Nov 2014.